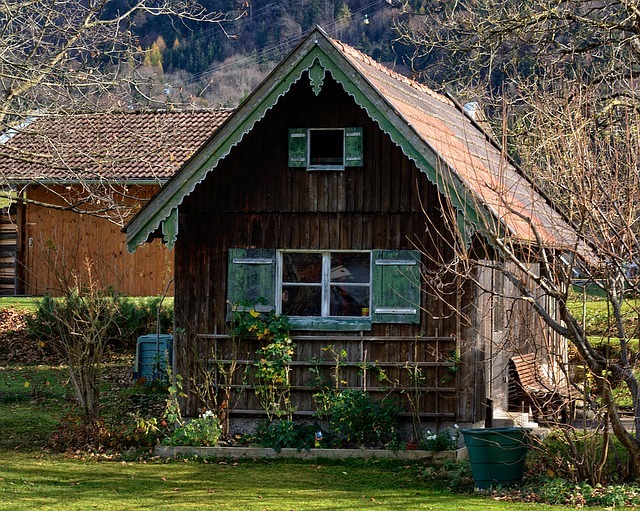 Homesteaders often need to make the most of their garden to fill their larder for the winter. Knowing how to prepare your garden for a killing frost can help you put up some extra produce at the end of the season. Take a few extra steps to squeeze the most out of your autumn garden with these tips. Beds close to buildings have warmer microclimates that help protect plants later in the season. When Will The First Frost Hit My Garden? Although there is no way to know exactly when you’ll have your first frost in autumn, you can get a good idea by visiting this site and entering your zip code. The date specified is the average date of the first frost in your area. In general, your first frost is most likely to hit within 2 weeks of that date. Get a head start to prepare your garden before the first frost is expected. For last minute preparations, be sure to watch your weather reports for frost warnings. When overnight temperatures are expected to drop below freezing, you’ll have a heads up. If your garden is in a low lying area, it is likely to suffer a frost earlier than high ground in your area. This is due to cold air settling in low spots. A garden planted close to a building and on high ground will be hit by frost later in the season than the surrounding terrain. If you are planning a new garden, consider sunny spots and raised beds next to buildings to take advantage of micro-climates that are protected from wind and frost. In many areas, the time to plant fall crops is in late summer. 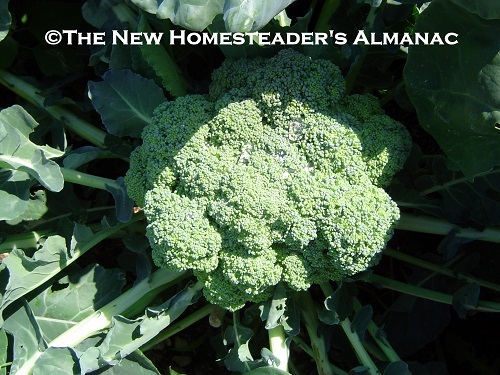 Although it may be too late to plant these crops this year, make some notes on your garden calendar for next year so you’ll have extra produce well past the first frost date. Some varieties are more frost tolerant and may be harvested much later than others. 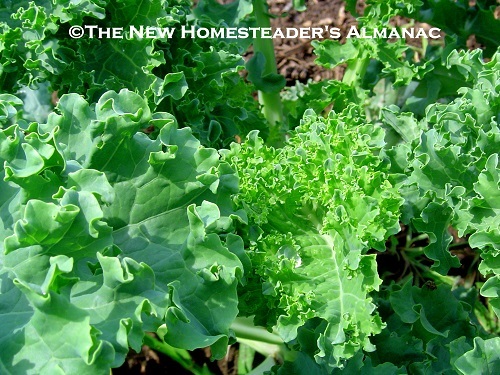 Collards can survive pretty cold temps and some varieties of kale may be harvested after several hard frosts. 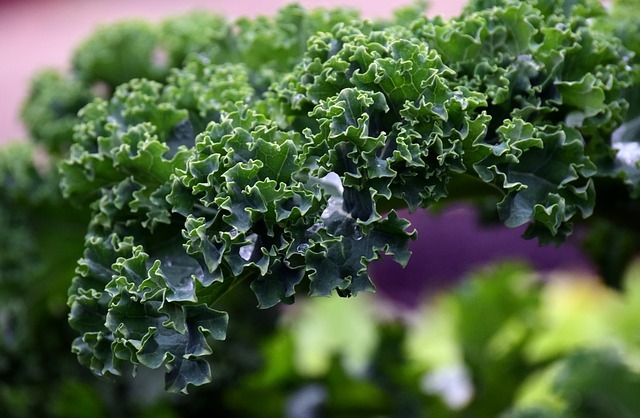 Kale is cold hardy and nutritious. 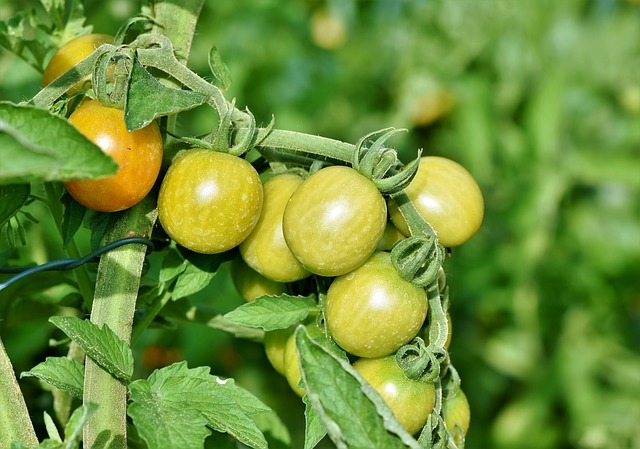 Tomatoes will often ripen on your windowsill, so bring in the green ones before a frost. You may cover and save heat loving crops through a few light frosts, but they should be harvested or covered with a cold frame or heavy blanket before a killing frost to prevent damage. Bring in any ripe produce such as peppers, okra, tomatoes, summer squash, green beans, winter squash, and eggplant. Bring in green tomatoes and place on a sunny windowsill, or wrap in newspaper and store in your basement or a cool spot. Check them often and bring out to ripen on the windowsill as you need them. You may also make a nice batch of fried green tomatoes. Although pumpkins and winter squash can handle a light frost, they won’t store well after a hard frost. So harvest, cure, and store them before the temperatures dive too low. A small greenhouse or cold frame will allow you to extend your growing season. Cool season crops planted in a cold frame, row cover, or unheated greenhouse may be kept through the winter in some areas. In cold climates you may need heat to keep your greens from freezing. Cold frames, greenhouses, floating row covers, hot caps, and growing tunnels are all great ways to extend your growing season for a couple of weeks at the beginning and end of each season. Frost tolerant crops that are protected in a cold frame may last all winter, provided the temperatures aren’t bitter cold. Throw a tarp or blanket over your cold frame when frigid weather threatens. 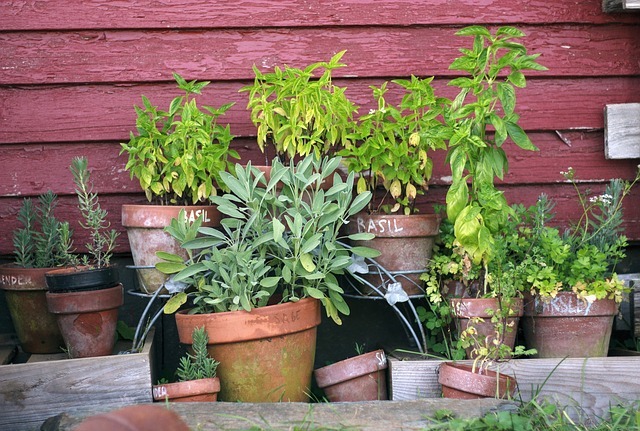 Growing plants in pots allows you to bring them inside for the winter. Peppers, tomatoes, herbs, flowers, and more can be brought in before the night time temperatures get cold. Place them next to a sunny window, check and treat for insect pests, and give a light dose of fertilizer after they’ve adjusted to their winter home. Some plants will continue to produce flowers and fruits with some additional light, while others will begin new growth again in spring. Some garden plants, such as tomatoes, may be grown from cuttings. Take cuttings from plants and bring inside to start new plants. Dip cut ends in Rooting Hormone , plant in pots, and place in a sunny window or under grow lights . Potatoes, beets, carrots, turnips, rutabagas, and other root crops may be overwintered in your garden if you don’t have a root cellar. The easiest solution for harvesting your roots over winter is to place bales of hay or straw directly over the unharvested row. 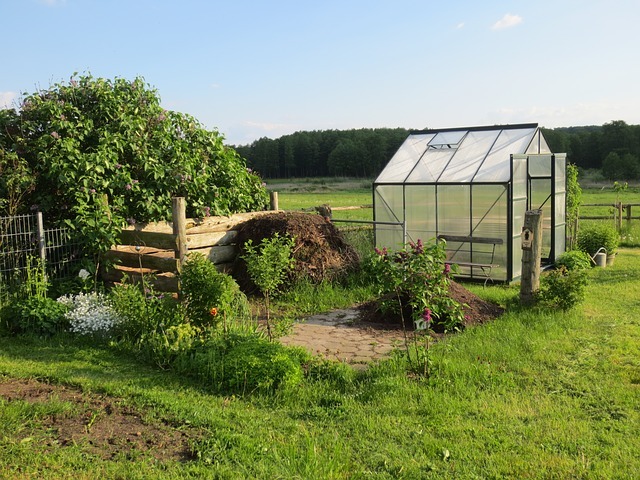 As long as the winter is not bitter cold, you will be able to move the straw aside, dig up enough roots for a week or two, and replace the bale. If the frost line tends to run deep in your area, you’ll want to harvest those root crops before the ground freezes. 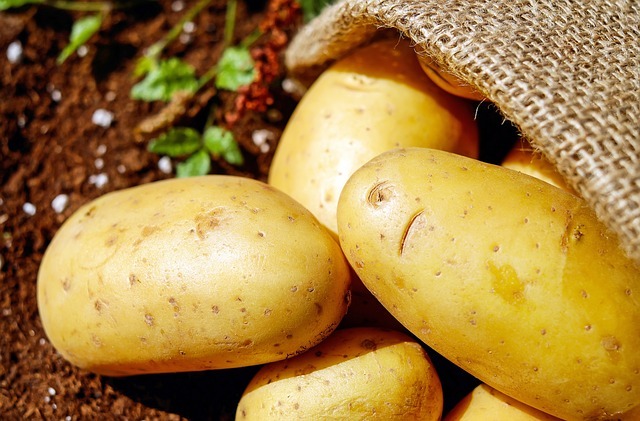 Dig crops and store in a cold storage area in a root cellar, basement, garage, unheated porch, or other area with proper storage conditions. When the weather reports call for frost, take a few minutes to scrounge around the garden for those last few veggies you may have missed. You can gather unripened winter squash and pumpkins and use them like zucchini, just peel and remove seeds if they are tough. Pick a bouquet of the last tender flowers. Bring in whatever is edible and use in a couple of days. Homesteaders are very busy people. Sometimes we have trouble getting out to the garden to harvest before the first hard frost. If you won’t be able to harvest the rest of your produce before frost kills the garden, go out and throw a heavy tarp, rug, or blanket over these crops in the evening to protect them. Keep an eye on the weather forecast for fair warning, and do your best to at least pick the end of the most frost susceptible veggies the next day. Don’t worry, you’ll have time to ‘chill’ over the winter!